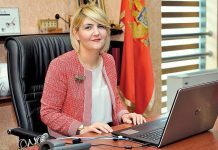 PavleThe Montenegrin Ministry of Sustainable Development & Tourism recently announced one of the country’s most important strategic documents – the Strategic Marketing Plan for Tourism in Montenegro. With this in mind, we asked Minister Pavle Radulović what kind of approach he is bringing to promoting the country’s tourism potential. For every single euro invested today, you generate income of 500 euros per tourist. Which forms of promotion have proven to be the most successful when it comes to attracting tourists? – Over recent years, we’ve been building Montenegro’s position as a destination for high-paying tourists by raising the quality to a higher level – from the product offered to tourists to the quality of service. We thereby achieve the best advertising, though that relates to guests who’ve already come to Montenegro. In today’s digitally transformed world of images and advertisements, it is clear that marketing and promotional activities are crucial for us to attract new tourists from strategically important emitting markets. Fairs and tourist expos, short presentations, PR activities and promotions in print and online media or via outdoor campaigns, as well as television programmes about our country, have all proven to be good ways of communicating with interesting markets. We promote our tourist offer via the aforementioned promotional channels throughout Europe and around the world. Will the Law on Tourism, coupled with implementation of the Law on Spatial Planning and Building Construction, lead to a reduction of the grey economy in tourism? – Our goal is to reduce to a minimum the impact of the grey zone in tourism and to raise the level of protection of those who operate regularly in this area. The provisions of the new Law on Tourism and Hospitality, with the accompanying policy of penalties, have precisely that goal, along with raising the level of protection for users of tourism and hospitality services. With the implementation of this Law, intensive controls were conducted during this year’s peak tourist season by the competent state and municipal inspectorates, resulting in a large number of decisions banning operators from performing activities, sealing off facilities, imposing monetary fines through misdemeanour charges, submissions of requests for initiating such proceedings, control of the implementation of ordered measures etc. Apart from that, a correlation has been established between this Law and the Law on Spatial Planning and Building Construction, whereby companies, registered enterprises, entrepreneurs and private individuals who’ve operated hospitality services within illegal facilities are obliged to submit evidence that legalisation procedures have been launched for said hospitality facilities within a legally prescribed deadline. Failure to do so will result in the refusal of extended approval to continue operations. When these grey zone statistics are included, how many tourists visited Montenegro this year and what kind of results were achieved? – We are exceptionally satisfied with the tourist year behind us. It was characterised by an excellent preseason during which we achieved double-digit growth rates, traditionally good occupancy levels during the summer months, but also an extended season – given the considerably high occupancy rate of hotel capacities during these autumn months. According to statistics currently available to us, during the first nine months of this year Montenegro’s collective accommodation capacities accommodated almost a million tourists, which represents growth of almost 13 per cent. Calculated in terms of nights stayed, we’re talking about a figure exceeding 3.8 million, which is an increase of almost eight per cent compared to the first nine months of 2017. On the basis of these statistics, I would like to stress that, viewed as a whole, the first nine months of this year were more successful than the whole of last year. 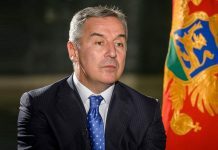 Furthermore, this means that this year will be the first in which Montenegrin hotels alone will have more than a million tourists and significantly more than four million overnight stays. When it comes to unofficial statistics, Montenegro was visited over the course of the first nine months of 2018 by more than two million tourists. According to Central Bank of Montenegro data, foreign tourist revenues for the first three quarters of 2018 total just under a million euros, which is an increase of 8.3% compared to the same period last year. 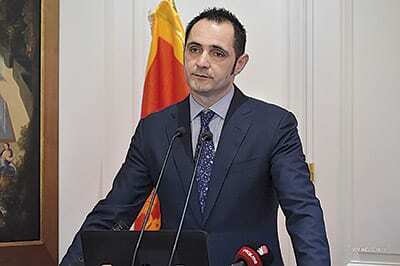 Budget revenues for foreign residence taxes as of 18th November 2018 amount to almost eight million euros. And this segment has seen growth of 15 per cent compared to the same period last year, and when we add to that the revenues from domestic tourists, we believe that this revenue will be notably higher. We are today seeing many more developed tourist destinations striving for fewer tourists and limit their arrival. How have you reconciled the need to develop tourism with the need to protect and preserve the environment? 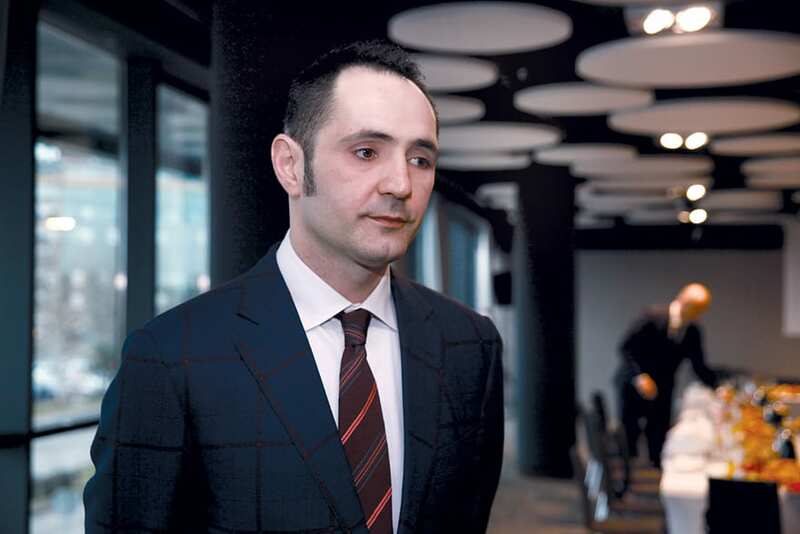 – Space is the most sensitive resource that Montenegro has at its disposal, and we must thus be careful in finding an optimal balance between sustainable development and environmental protection. That means, for example, that we want to bring tourists to our mountains, meadows and lakes, to accommodate them and create an offer that will ensure money stays in our country, but in a way that does not desecrate the authentic natural treasures of Montenegro. An even greater challenge is on the coast, which has much more urban development than the northern part. We must persevere in providing a high-quality offer that will attract fewer tourists but with deeper pockets. How many tourists visit Montenegro during winter and how does their structure differ from peak season guests? – Montenegro has exceptional potential for the development of winter tourism and there are ever more tourists deciding to spend their winter holidays in our country, mainly coming from the countries of the region, but also Russia, France, China and elsewhere. Montenegro’s mountains are suitable for the development of ski tourism and all other types of adventure and sports tourism. We’ve positioned ourselves in recent years as the region’s top destination when it comes to breaks during the holiday season, and this year all tourists can expect New Year’s celebrations to include rich programmes lasting several days and featuring the region’s most famous music stars. What is already certain is that most of the hotels are fully booked for that period and we expect that trend to continue in January and February, given that we are constantly improving our winter tourism product. What would you like tourists to associate Montenegro with when they think of the country? – The main objective of our umbrella concept of promotion is to position Montenegro as one of the leading tourist destinations, with a rich and varied offer, or as a year-round destination with a strong tourist brand. Our locally authentic characteristics as a destination remain, overall, that which is most interesting to visitors from all over the world, and major differences in a small area are still in the domain of wonders. There are few destinations in the world like Montenegro, where you can enjoy both beautiful beaches and medieval coastal towns on the same day, and then head to the mountains, where there are numerous opportunities for active holidays in pristine nature, accommodation in authentic ethno-villages, and enjoyment in the five national parks that cover fifteen per cent of the country’s total territory. How do you intend to involve the private sector in the story of tourism development? 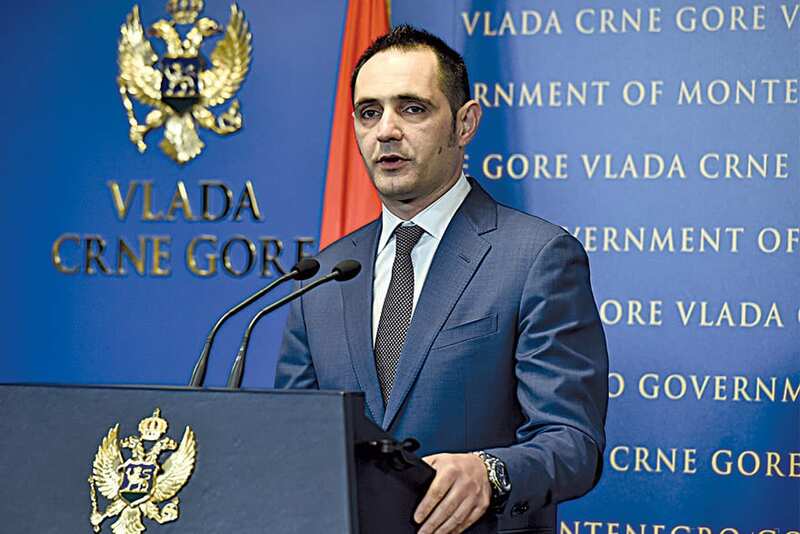 – The private sector is an important partner for us in the formation of the tourism products of Montenegro, both from the aspect of their share in providing accommodation services and from the aspect of developing the offer itself. The additional impulses with which we create the prerequisites for more favourable business conditions for the private sector are reflected in the key new additions brought by the Law on Tourism and Hospitality. They relate to the introduction of new types of hotels, such as an integral hotel and new business models in hotels – condos and the mixed business model, then the simplifying of procedures for starting and running a business, encouraging the development of tourism in underdeveloped areas, which encompasses the forming of tourism development zones and a programme of incentive measure. Do you have a long-term strategy to resolve the shortage of personnel in the tourism sector? – Tourism contributes around 23% of the country’s GDP to the national budget of Montenegro and is perhaps the branch of the economy that generates the most jobs. The Strategy for Human Resources Development in the Tourism Sector envisages a significant number of direct jobs in the hotel industry, travel agencies and other areas, whilst envisaging that the greatest demand in the coming period will be for qualified professionals in the hotel and hospitality sector. Analysis of the supply and demand ratio according to levels of professional qualifications is carried out on an annual basis and indicates that during the peak season there is a shortfall that is evident to the largest extent in the area relating education levels I and II (unqualified and semi-qualified labour), where demand exceeds supply by an average of up to 40%. This is also confirmed by the fact that over 80 per cent of the total number of work permits issued for foreigners apply to these two levels of professional education. Increasing accommodation capacities, as well as diversifying the offer, imposes a constant need for new staff, which is why there is continuous implementation of staff training courses for vocational education and qualifications that will satisfy specific requirements and types of offers in the tourism sector.